Today I combined the Poetic Asides prompt to use an artist’s name as a title, with my local Stroll of Poets prompt to make a “10 Things” poem. 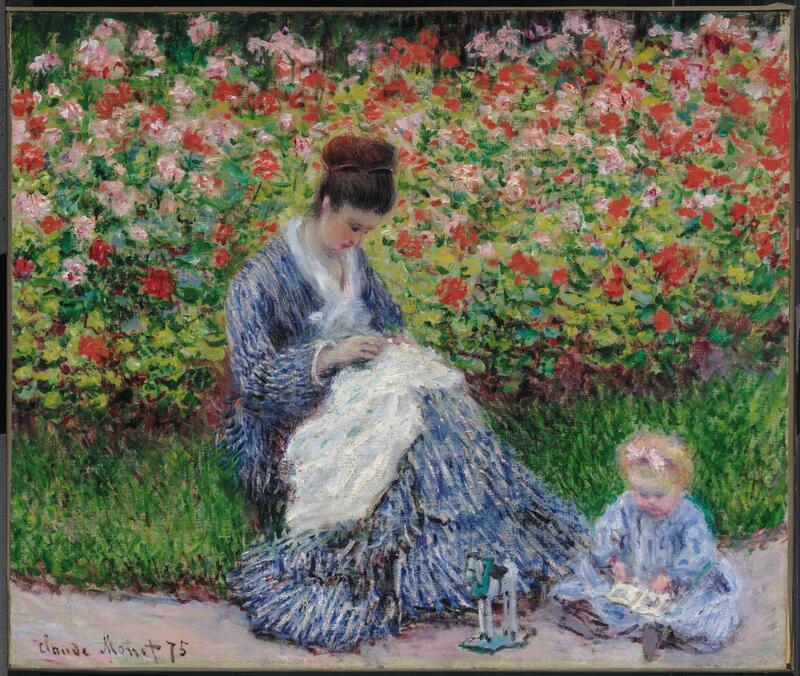 I’ve always been inspired by Monet’s art, and especially love the “Camille Monet et un enfant au jardin” painting (image below). As I’ve aged, I have come to see the painting differently than I once did. It’s the flowers I always remember. The beauty in shades of red, and all the white that suggests an ideal day. The mother is Monet’s wife, Camille. No one else appears in his paintings as often as Camille. I imagine the texture of the grass, the feel of Camille’s dress, the softness of the child’s hair. I wish I knew what book the child looks at. I see my own mother in Camille, never attending to just one thing. I stare at the faces of mother and child, obscured in indistinct brushstrokes. I wonder why it’s the flowers I always remember.